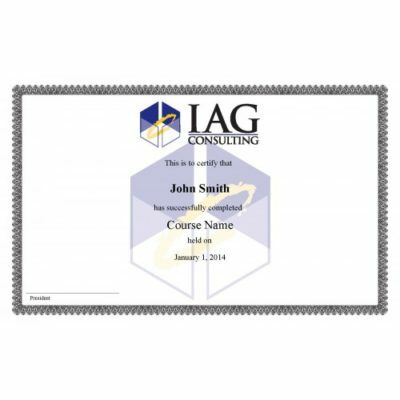 IAG now offers online ordering for Course Completion Certificates. Currently two types of certificates are available online, Webinar Completion Certificates and Replacement Certificate re-issuance for prior courses taken. Purchase the appropriate Certificate, IAG will verify your attendance and issue (or re-issue) your certificate. Once the transaction has been completed you will receive an electronic certificate to download, print and keep for your records.